The Professional Bowlers Association, United States Bowling Congress, and Bowling Proprietors’ Association of America announced a multi-year agreement to include the USBC Masters and U.S. Open as major events on the Go Bowling! 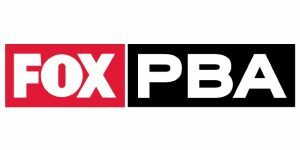 PBA Tour television package on Fox Sports. Fox Sports will televise the U.S. Open live on Fox from 2020 through 2022 and the USBC Masters live on FS1 from 2019 through 2022. The announcement was made at the BPAA Mid-Winter Summit in New Orleans.